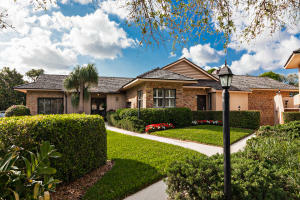 Jupiter Hills Condo Tequesta, FL 33469 has been sold. THIS FULLY RENOVATED, MOVE-IN READY CONDO HAS IT ALL. PERFECT FOR THE WEEKEND WARRIOR OR A FULL- TIME RESIDENCE. 3 BEDROOMS, 2 1/2 BATHS WITH ROOM FOR JUST THE RIGHT AMOUNT OF GUESTS. RX-10430791 located in Tequesta, FL is a condo with 2 bedrooms, 2 full baths and 1 half baths.The Condo at RX-10430791 was built in 1982 in Jupiter Hills and offers a 0 car garage. This Jupiter Hills Condo offers pool. RX-10430791 Tequesta, FL is currently listed for $1,000,000 under the MLS# RX-10430791. This Condo has been put on the Tequesta MLS system and currently has a status of SLD.